H.13530 - Fabulous North Naples Location! 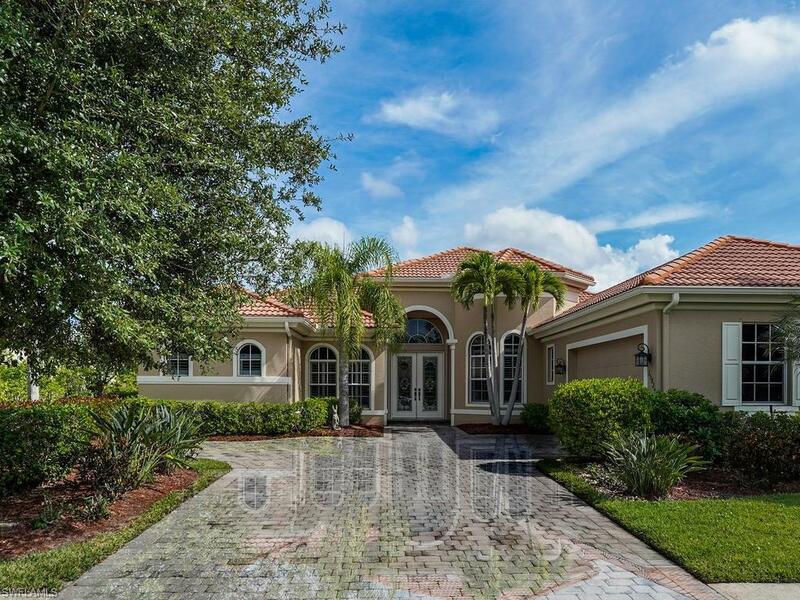 Luxury appointments found throughout this beautiful 4 BR + Den, 3 bath home in Delasol. Beautiful 20 x 20 ceramic tile on the diagonal and 10-15 volume ceilings accentuated with elegant crown moldings and windows featuring plantation shutters. Open chefs kitchen w/custom cabinets, under cabinet lighting, granite countertops, center island, New LG stainless steel appliances and morning room with seamless glass window overlooking the pool. Relax in the Master Suite offering plush new carpeting, lanai access through sliding glass doors, walk-in closet, luxurious step-in shower and soaking tub. Split floorplan with privacy for guests with spacious accommodations. The 4th Bedroom is currently being utilized as an exercise room with bathroom also functioning as the pool bath. Enjoy tropical outdoor living while entertaining with disappearing sliders and open & covered living spaces around the glistening saltwater pool with sheer descent water feature and tranquil lake views. Newly painted exterior & interior, new electric Hurricane Shutters, oversized 2-car garage w/ storage area and so much more! Low HOA Fees!